Every baby shower ought to have at least one game that involves diapers. Some of these games are quite silly, some are meant to be a little gross, and some actually require a bit of skill. What they all have in common is that they provide entertainment that keeps the shower moving along. This game offers a super easy way to win a door prize, and it's a great icebreaker. The best part is that nobody needs to remember any rules to participate. You'll need one diaper for each of your guests, and you can use disposable diapers, cloth diapers, or even diapers made from napkins for this game. Before guests arrive, choose one diaper that will be "dirty." Squirt a little mustard on the inside of that diaper, then tape or pin all the diapers closed. As each guest arrives, hand her a folded diaper. Once everyone is seated, ask each person to introduce herself and tell how she knows the mom-to-be. Once all the introductions are over, have everyone open the diapers. The person with the "dirty" diaper will win a prize. Because this is so simple, it is a great baby shower game for a large group. This is a simple game that only requires a slip of the lip to set it in motion. 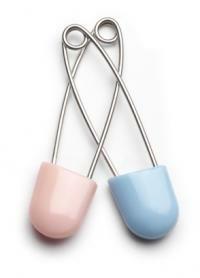 You'll need one diaper pin for each guest to wear throughout the shower. If someone says the word "diaper," the first person to catch her gets to take her pin(s). The guest with the most diaper pins at the end of the shower wins a prize. The point of this diaper changing game is to see which shower guests can diaper a "baby" the fastest. Depending on how many guests you have, you can choose to play in teams like a relay race, or as individuals. This game is a great option when both men and women are attending the shower, though it's also fun for a ladies-only event. Set up changing tables on card tables. How many you set up depends on how many teams you divide your guests into, but you should have at least two stations. A stack of disposable diapers. When you call start, the first contestant from each team must unsnap the baby doll's onesie, remove the old diaper, wipe the baby with a wipe, put on the new diaper, and snap the onesie closed correctly. The next team member can begin as soon as the first player finishes. Play continues through each player until one of the teams finishes first for the win. Each player begins when you say go. You must time each player, and keep track of how long it takes her to diaper the baby doll, following the same procedure as described above for team players. The player who diapers the baby in the shortest amount of time is the winner. Here's a fun game where your guests get to test their psychic skills. Pack a diaper bag with a variety of baby care items, clothing, and toys. Make a list of the entire contents of the bag. Allow the guests to feel the bag, shake it, and lift it to see how heavy it is, but don't allow them to look inside. Have your guests write on sheets of paper exactly which items they think are in the bag. Read your list of items out loud. Your guests receive a point for each item on their list that matches yours. The winner is the guest who has the most points, and the mom-to-be gets to keep the bag and contents. This is a baby shower version of the popular television game show. You'll need to purchase the following baby items, but you can give them to the mom-to-be after the game is over. You'll need five envelopes, each labeled with the name of one of these items. Write the price of each item on a small card and put each card in an envelope. Place each envelope with its item. Hand each guest a sheet of paper with a list of the items and give everyone about five minutes to write down how much they think each item costs. Open each envelope one by one and reveal the true price of each item. Every person who guesses closest to the price of an item without going over gets one point for that item. Any player who guesses the exact price of an item gets two points. Have everyone tally their points after all the prices have been revealed, and the guest with the most points wins. If you need a tiebreaker, see who can add up the total cost of all the items the fastest, and the first person to call out the correct total is the ultimate winner. Using the permanent marker, number each diaper from 1 to 10. Place several spoonfuls of each kind of baby food inside one of the diapers to create the "poopie." Record the type of baby food loaded into each diaper, so you have a master list for the game. Give all players a piece of paper and a pencil and ask them to number the page from 1 to 10. Pass the poop-filled diapers around the room, and let each guest see, smell, and even taste the contents of each diaper if they want to. Players should then list the type of baby food "poopie" they think is in each diaper. The person with the most correct guesses wins. To play this game, you'll need 10 disposable diapers and 10 baby care items that will fit inside them, such as a pacifier, a jar of baby food, a feeding spoon, etc. Your guests will need a piece of paper and a pen. Using a marker, number the diapers 1 through 10. Place one item inside of each diaper, and tape the diaper closed, so the item cannot be seen and cannot fall out. Keep a list of which item is in which numbered diaper. Pass each diaper around to all the guests and let them feel the diapers one by one. After handling each diaper, the guests should write down the diaper's number, as well as a guess about what's inside. Compare your list of diapers and items with the guests' guesses, and the guest who got the most items right is the winner. Modern baby shower games include diaper and baby care video game challenges. These games are perfect for hosting a virtual baby shower or tech-themed showers. Video games are also a great way to incorporate baby shower games for men at coed showers. If you've got a Nintendo Switch, use the mini-game "Baby" from the party game "1-2 Switch" as a fun virtual baby shower game. In this simple challenge, one player cradles the Switch like a baby and has to rhythmically rock a virtual baby to get him to stop crying. Players are timed to see how long it takes them to get baby to sleep. Have guests take turns then award a prize to the person who soothed the virtual baby the fastest. Have each guest download the free My Baby app on their phone and create a virtual baby at the start of the shower. Guests must then pay attention to and care for their baby throughout the entire shower. Check each virtual baby's happiness level at the end of the shower. The winner is the person with the happiest baby. In-person guests can play along with guests who might be joining from afar via Skype or FaceTime. In this easy diaper game RPG, all you have to do is follow the on-screen directives to change the baby girl's diaper. Get the free online Baby Daisy Diaper Change game set up on a tablet. Throughout the shower ask guests to take turns playing and write down their final scores. The guest who gets the highest score from the best virtual diaper change wins. If you're hosting an online shower, each guest can play on their own computer then report their score. 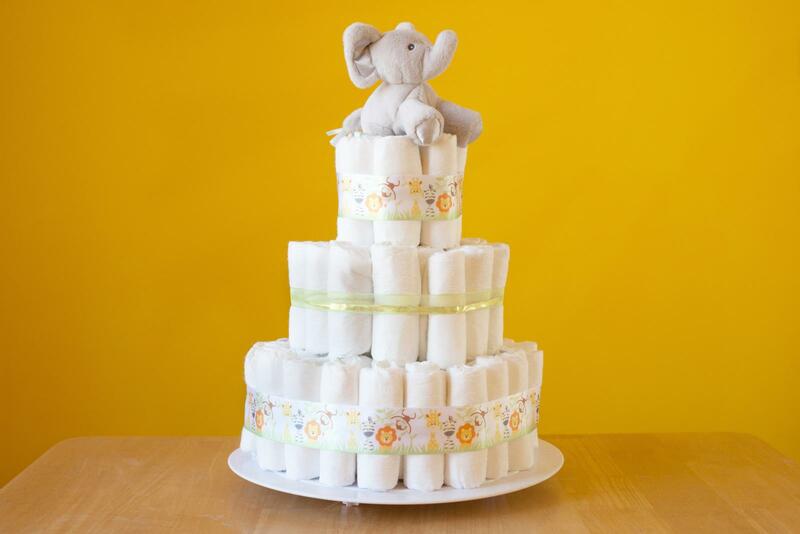 Baby showers are meant to be fun for everyone involved, so don't hesitate to take part in all the games and traditions. Whether you're trying to guess what's in a diaper or win a diapering relay, the point is to cut loose and enjoy yourself! These modern baby shower games are just the ticket! 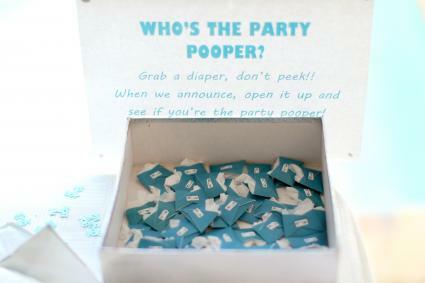 They're among the funniest baby shower games ever and are sure to be a hit with all the guests.